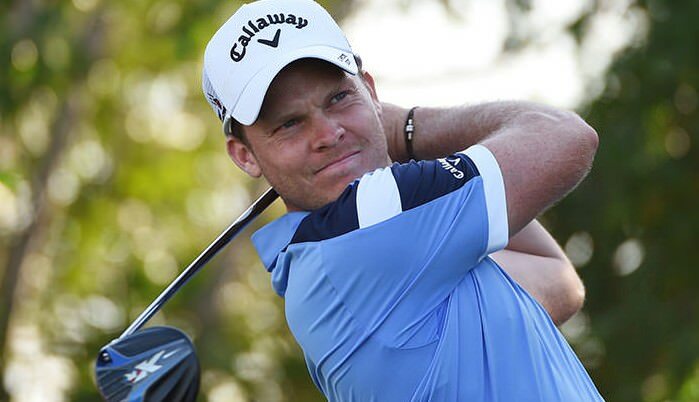 (Augusta, GA) First off, let’s congratuate Englishman Danny Willett for winning the Masters in only his second attempt by firing a bogey-free, five-under par 67 on Sunday en route to donning the coveted green jacket. Although he had the freedom of being the chaser for much of Sunday, Willett stood strong and didn’t flinch when he had the lead over the last few holes. Son of a vicar and a mathematics teacher, Willett—a four-time victor on the European Tour—proved he possessed the internal resolve while knowing where he stood on the scoreboard. After making a birdie on the par-three 16th hole, Willett saved par on 17 with a superb chip after being over the green on its top half—normally a ruinous spot. And he played the final hole, with the pressure on, in near textbook fashion: drive in fairway, pin-high shot on the green, safe two putts. For Willett: Masters done; now wait. Also, his steady and sure-handed play over the entire tournament shouldn’t be overlooked due to his heroics on Sunday. Despite challenging northwest wind conditions during the first three rounds over the ever-demanding Augusta National, Willett only carded eight bogies and no “dreaded others.” His stumbles were slight and recoverable. For the tournament, two other cumulative statistics are revealing. Willett had 114 putts for the week, tying him for fourth best, behind Anirban Lahiri (110), Jordan Spieth and Larry Mize (both at 112). He incurred only one three-putt for the tournament. Equally telling is the Greens in Regulation (GIR) stat where Willett hit 48 out of 72 greens, an average of 12 per day and sixth-best for the field. (Spieth hit five less greens total and was T-30th.) In sum, Danny Willett’s balanced tee-to-green and short game performance were most worthy of a Masters champion. And that brings us to Jordan Spieth and his historic attempt to become the first player to win back-to-back Masters (and any major) in wire-to-wire fashion. 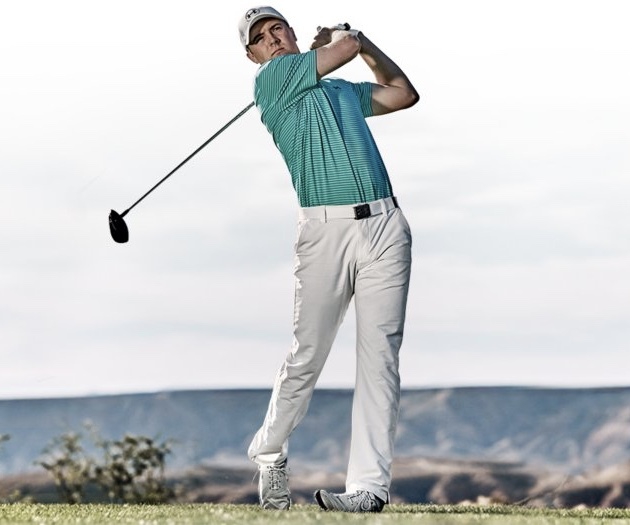 Especially in this noisy and always on media-driven world, Spieth bore a heavy burden. Even for a well-grounded 22-year-old hardened by contending in five consecutive major championships. He entered the week saying his game was “peaking” and well-prepared to handle Augusta National. And although he began the year with a dominant eight-shot victory at the Hyundai Tournament of Champions in Hawaii, Spieth hadn’t won since then and showed some weaknesses in his driving, largely missing right. Nonetheless, he grabbed the Masters lead on Thursday with a masterful six-under-par 66. “Wyatt Earp,” as Ben Crenshaw described Spieth last year, was still sheriff and in control of the town. Even allowing for the rigorous conditions, Spieth’s play for the next two days revealed a vulnerability. On Friday after reaching eight-under for the tournament, he doubled the fifth hole and then made four bogies on the back nine. And on Saturday, Spieth he carded two more doubles, one on the last hole which was preceded by a bogey on 17. His once four-shot lead was down to one (at three-under) exposing the town, er, the field to a host of desperados, including Willett lurking three shots back. Beginning at the 16th hole on Saturday, Spieth seemed tired. He was coming out of his tee shots and then made a mess of things with a poor pitch and weak first putt on 18. The latter happenstance was uncharacteristic for Spieth whose short-game is usually bullet-proof. Possibly mental fatigue was the culprit. Or maybe it was “just golf.” Either way, it was an unsettling end to his day. I watched his first hole and it was impressive, a strong and accurate drive and then a well-struck iron to the middle of the green. After Smylie Kaufman missed a very makeable birdie putt, Spieth holed a short yet tricky par putt to maintain his lead. Two hours later, I witnessed the climatic end of Spieth’s front side when he birdied the ninth hole—his fourth consecutive birdie—and electrified the gallery. Like most, I walked away from that green never imagining the young and confident Texan would ever loosen his grasp of another Masters title. Then the 12th hole interceded. It’s a treacherous hole that’s been a nightmare to many a Masters dreamer. In 1959, defending champion and third-round co-leader Arnold Palmer took a triple bogey there and ended up in third place, two shots behind winner Art Wall. Similarly, this year’s defending champion and in-command leader saw his chances at a Masters repeat disappear into Rae’s Creek, where consecutive shots found the water. Pros at this rarified level of skill rarely make back-to-back mental and execution errors. But it happens and if it occurs at a hole like the 12th, the result is calamitous. In playing those final holes on Sunday as well as handling the emotional cauldron of the closing ceremonies, Spieth demonstated resilence, class, sportsmanship and good grace. Reflecting on his game all through the week if not the last sensational year, one should fully expect another major bounce back.